EMSS Export Module: Automation facility for FPS (Focus product scheme) and FMS (Focus market scheme). 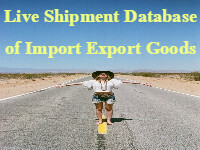 Software automatically checks the relevant product/country and apply scheme in current shipment. Export shipments can be linked against the FPS/FMS license & its applied/benefit value is calculated automatically. Existing clients may approach our support team to update the same.